The Blue Mountains, located immediately to the west of Sydney, is one of the most accessible areas of highland natural beauty in New South Wales, Australia. 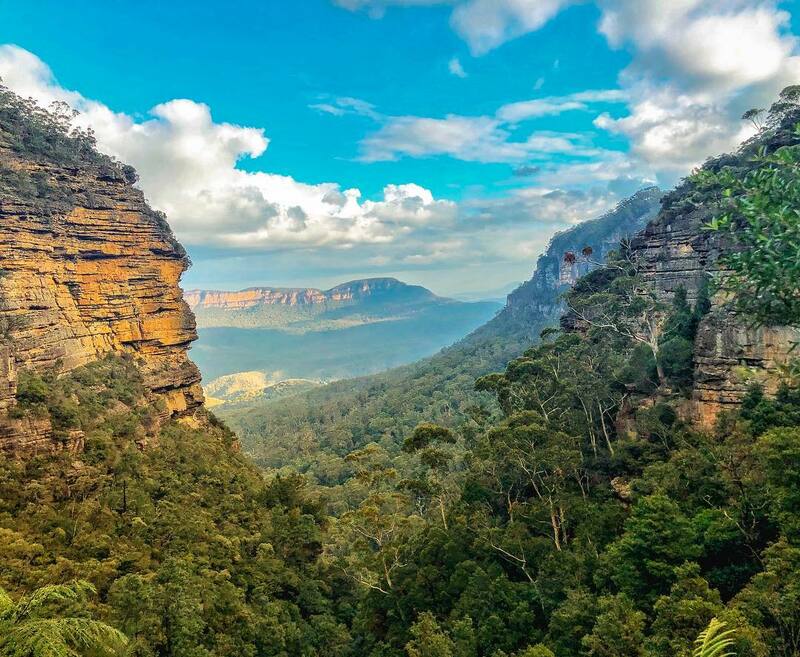 Although not particularly high for a mountain range, the Blue Mountains are nonetheless renowned for their unique, majestic scenery, cultural attractions, and relatively tranquil way of life. The Blue Mountains is a wonderful place to experience the raw beauty of the Australian bush. There’s plenty to see and do, and plenty of day tours to help you pack everything in. There are, however, a few important things you should know before taking your trip. 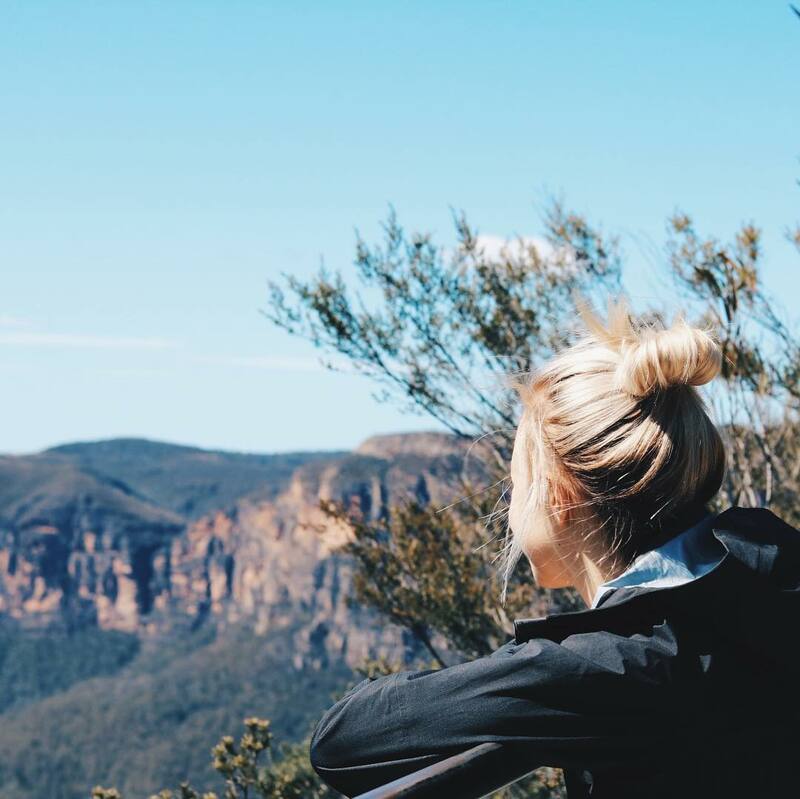 Here are things you need to know before considering have a Blue Mountains tour from Sydney. The Blue Mountains are due west from Sydney and start about 60 kilometers away. The main tourist region of Katoomba and Leura is about 90 kilometers away. They are definitely worth visiting if you have time during your visit! Their close proximity to Sydney and the unique natural beauty and diversity of this region makes them a perfect day trip. Although warmer in summer, the Blue Mountains are normally a bit cooler than Sydney. At this time of the year, you are more likely to experience rain but don’t let this put you off. The trees come alive, the clouds blanket the mountains, and the waterfalls are at their peak. If you are planning on walking in the Blue Mountains, then consider the end of summer. Autumn is the true walking season for the Blue Mountains as the days are cooler and the rain is easing. The Blue Mountains region is made up of seven separate national parks and is about 10,000 square kilometers in size. It was recognized in the year 2000 as a UNESCO World Heritage Site due to its unique natural diversity. Rather than pointy glacial mountains, you can expect to see rounded peaks with deep valleys and towering cliffs, often with sparkling waterfalls plummeting over them. If you are on a smaller tour that can access the less-visited spots, then you may also find yourself enjoying ancient Aboriginal rock carvings and towering cool climate rainforests. 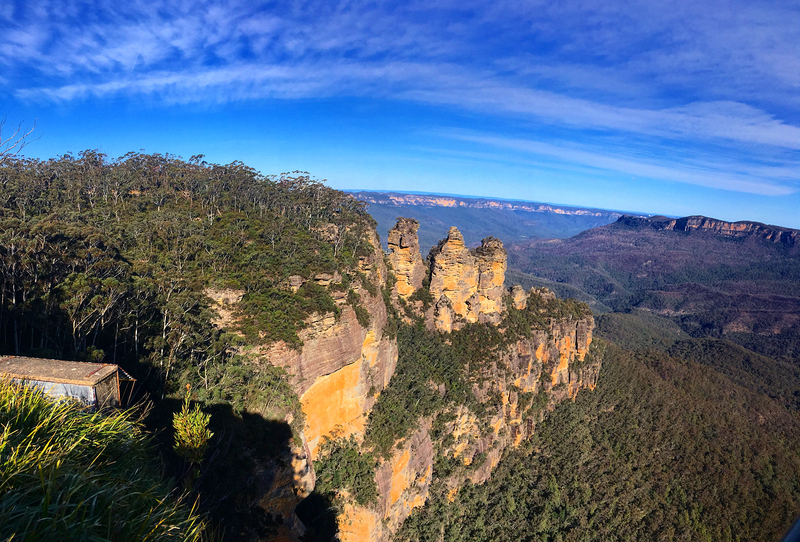 You should visit the iconic Three Sisters, which is closest to the township of Katoomba and is one of the most impressive rock formations in Australia. You will also enjoy the crisp mountain air, abundant local bird life, ornate gardens, and charming local villages like Leura. The weather can vary dramatically from what you will experience in the heart of Sydney. It can be 10 degrees colder than in the city and even colder than that at night. This is why it is so important that no matter where you start your journey to the Blue Mountains, you make sure you bring warm clothing. It may be warm where you are staying near the city, but as you head towards the mountains, you will feel the temperature change. Appropriate footwear is also very important to enjoy your day. There’s nothing worse than finding halfway through a bush walk that your shoes are giving you blisters and you’re a few kilometers from the bus or car. Make sure you put comfort first when choosing what to wear! There are heaps of great marked walking tracks that take you deep into the bush. Most of these walks have mobile phone reception, too. But if you do happen to wander off onto an unmarked track, you should proceed with caution. Many locals and visiting tourists have been lost for days in the Blue Mountains. It’s easy to get disorientated in the bush and get lost. Much of the terrain offers no reception so if you get lost, it would be hard for you to call for help. Stay safe by making sure you know the route you are trekking and let someone know the exact path you will be taking if you are not sticking to marked trails. 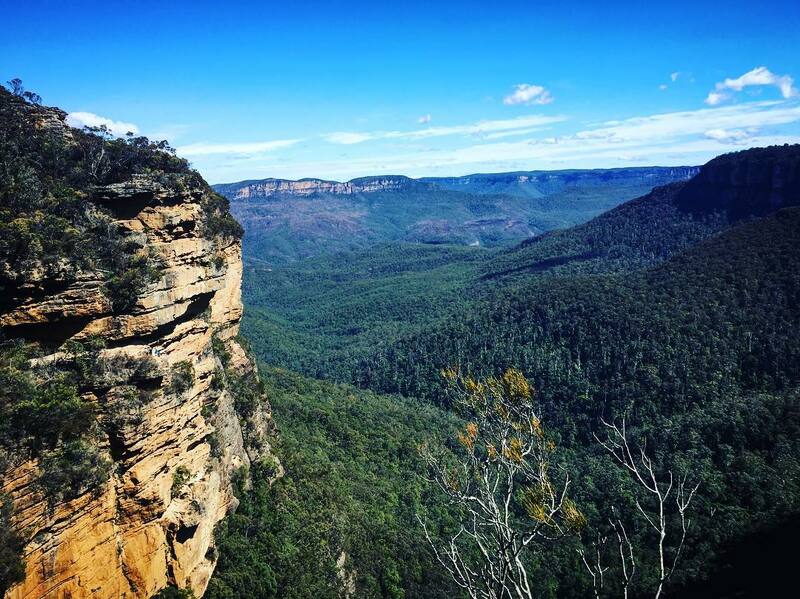 At the minimum, give yourself a half day to explore the most popular sights around the Blue Mountains. Remember that this national park is huge and it takes time to get from one sight to the next, even if you do the hop-on-hop-off bus. Unsurprisingly, the national park is best taken in through walking its trails, so give yourself time to go on at least 1-2 short hikes around the park. If you can spend a full day at the Blue Mountains, or more, you won’t be disappointed. Lastly, the earlier you get there the better, for crowds and to beat the heat. If you’re doing the trip on your own via car or train, leave Sydney before sunrise to get an early start and experience a magical early morning glow in the mountains. The Blue Mountains is Australia’s most accessible World Heritage wilderness. Motorways provide direct road links from Sydney in less than two hours. The Regional Map shows road links to the Blue Mountains from all surrounding areas. Trains regularly depart Sydney’s Central Station for a wonderfully scenic two-hour journey through the heart of the region. Private tour operators provide transfers and customized tours in limousines, mini-buses and even on Harley Davidsons. Coaches depart Sydney CBD daily for day trips or overnight stays. Once you are in the region it is easy to travel around. If traveling by car, pick up a map from an accredited Visitor Information Centre to discover some of the region’s hidden secrets that lie off the beaten track. There’s also hop-on-hop-off tourist bus services linking key attractions. Fresh air builds an appetite and the area offers a comprehensive menu of dining options from fine restaurants to beautiful brunch spots and delectable delis to casual cafes. The Blue Mountains has lots of highly-trained local and international chefs who serve fresh produce from nearby farms, orchards, rivers, and streams. Food, wine, and coffee-shop conversation are as integral as rock climbing and bushwalking. Whether you want fine restaurants with stunning views, local organic produce or bakeries stuffed with sweet delights, the Blue Mountains is the place to go. Katoomba and its surrounds are proud of their Cittaslow status – one of only two regions in the Southern Hemisphere are recognized as such by the Italian-originated Slow Food movement. Cittaslow (pronounced ‘CHITTA-slow’) towns take the time to identify what is important and special about their region and put in place strategies to preserve its unique qualities. Indulge at altitude in one of Australia’s original pamper getaways. Stay at any number of accommodation venues, from budget motels and self-contained villas to luxury resorts and charming B&Bs. Many boast high-quality restaurants, others serve High Tea, plenty have their own spa and massage facilities, and some will soothe your senses with soaring views of mountains and valleys. Best of all, the mountainous region offers a host of accommodation surrounded by a unique combination of raw beauty and natural pleasures. 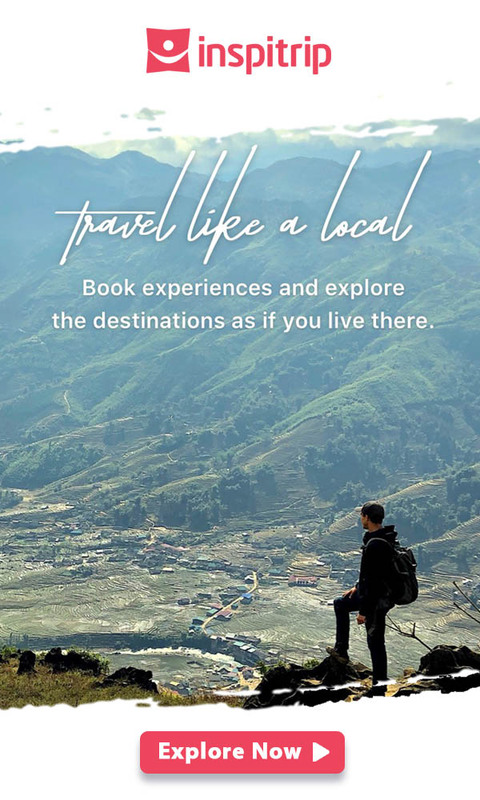 The local accommodation providers in the Blue Mountains love you to book directly with them and not through third party booking sites that collect large commissions and contribute little or nothing to your accommodation experience. Frequently you can get better rates, special offers, and preferential treatment by booking directly with your chosen accommodation. The Blue Mountains is a place to eat, drink and indulge. 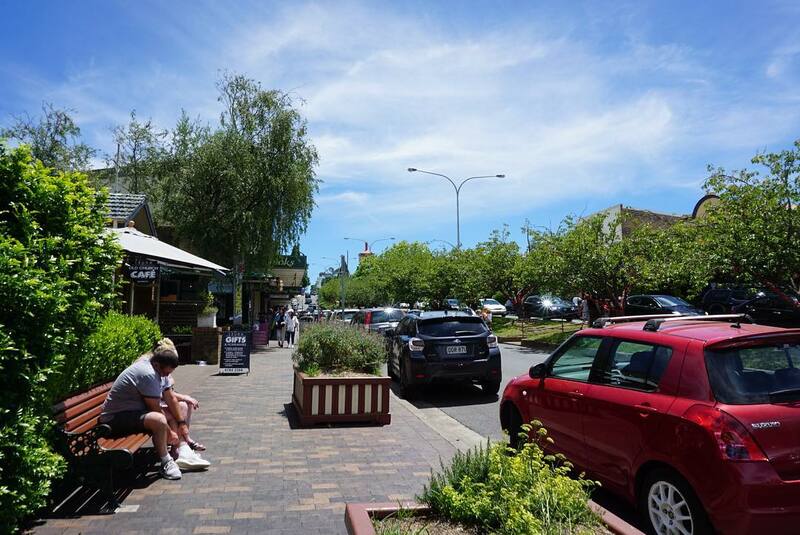 Have a lunch on Leura’s pretty tree-lined streets, before browsing the galleries and boutiques. Sit down for coffee and cake in an Art Deco café in Katoomba, and shop for gourmet food at Blackheath. During winter in July, embrace Yulefest celebrations, with many businesses putting on traditional Christmas spreads including log fires, singalongs, and mountain hospitality. Book a table in the grand dining room at The Carrington Hotel in Katoomba, or head to the sprawling Fairmont Resort Blue Mountains in Leura for a sumptuous Christmas buffet. When it’s not Yulefest, reserve a table at the lauded Darley’s Restaurant at Lilianfels, or at the nearby fine dining Echoes Restaurant and Bar in Echoes Hotel. Apple picking during the autumn season (February-May) has become a popular activity in Bilpin, on the western fringe of the Mountains accessible via the Bells Line of Road. You can take it one step further, plucking your own fruit from the trees at Shield’s Orchard before tasting varieties of cider straight from the barrel at the brand new Hillbilly Cider Shed. Their range, made from 100% crushed fruit, includes the award-winning Sweet Julie (made from a new variety of apple originating at Shield’s Orchard), which was awarded Best in Class at the 2016 Australian Cider Awards. The Three Sisters is an unusual rock formation in the Blue Mountains, on the north escarpment of the Jamison Valley. 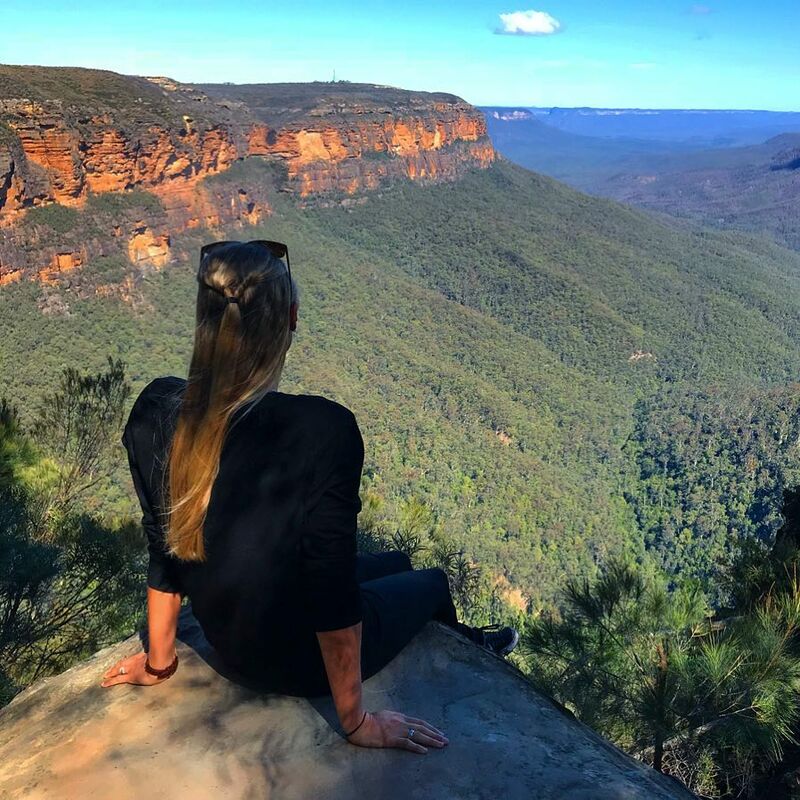 They are close to the town of Katoomba and are one of the Blue Mountain’s best-known sites, towering above the Jamison Valley. Their names are Meehni (922 m), Wimlah (918 m), and Gunnedoo (906 m). The Sisters were formed by land erosion. The sandstone of the Blue Mountains was eroded over time by wind, rain, and rivers, causing the cliffs surrounding the Jamison Valley to be slowly broken up. One of the many waterfalls to see at the park, Wentworth Falls, is a popular spot that can be reached from the Wentworth Falls track. 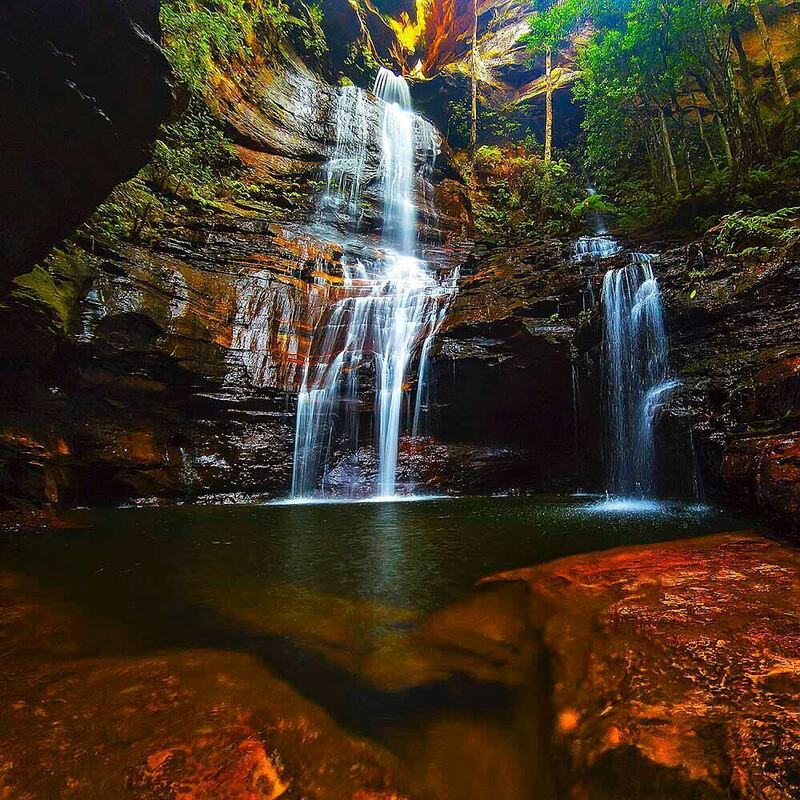 In fact, no proper list of what to do in the Blue Mountains would be complete without mentioning these cascades! The trail goes by Jamison and Wentworth lookouts, before leading you to Fletcher’s Lookout, where you can have an unobstructed view of the falls and their 100m drop into the valley. Wentworth Falls, near where the waterfall is located, is another little town in the Blue Mountains. It’s an optimal spot for relatively easy bush walks that give you impressive lookouts and sweeping views. 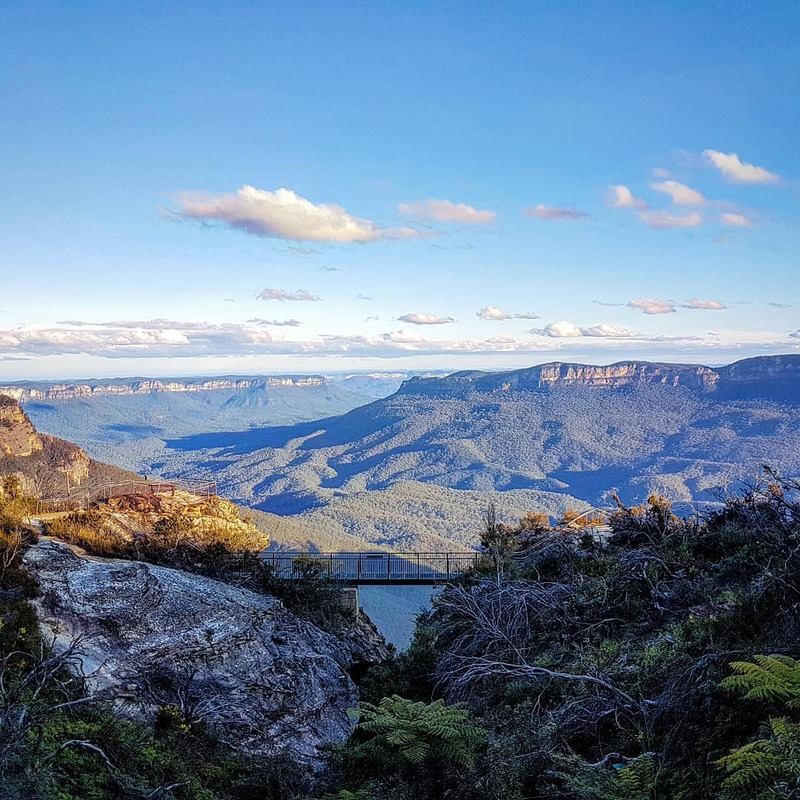 Scenic World is one of the best places to visit in the Blue Mountains, as it is here you can enjoy the view from the world’s steepest scenic railway. Sounds equally terrifying and beautiful, right? It’s not actually that scary of a ride since it’s a railway, not a rollercoaster, but it’s a gorgeous (and yes, touristy) way to take in the beauty of the Blue Mountains. You can also experience the scenic walkway, cableway, and skyway here, all of which provide different views and experiences of the Blue Mountains. It’s recommended to take in the beauty of the area through hikes and trails, but if you’re more into a novel tourist experience, Scenic World can be a fun way to spend an hour in the park.